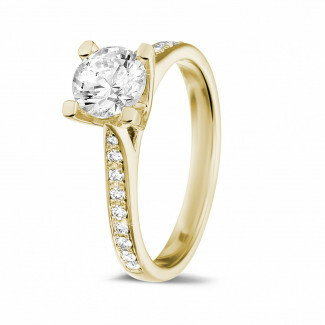 A diamond ring in yellow gold is a true classic. If you are on the look-out for an elegant jewel with a timeless look that suits every occasion, you will find our collection of diamond rings to your liking. When you cannot find what you are looking for at first glance, please contact our experts for more advice regarding your choice of jewel. 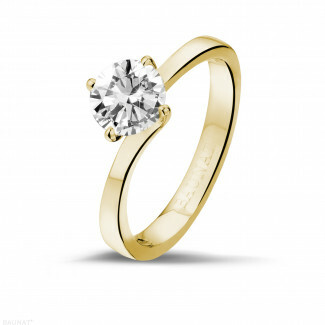 We will be happy to guide you in your search for the ring of your dreams. When do I choose yellow gold? Yellow gold goes hand in hand with diamonds, whether we are talking about smaller diamonds set in a ring band or a larger solitaire diamond. Do you prefer a timeless look that radiates class? 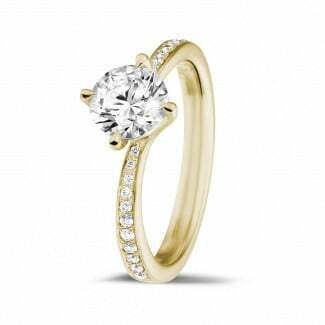 Then yellow gold is your best choice. If you prefer a more contemporary version of a diamond ring, you can browse through our extensive collection of diamond rings in white gold, platinum or red gold. Which yellow gold rings suits my personality? 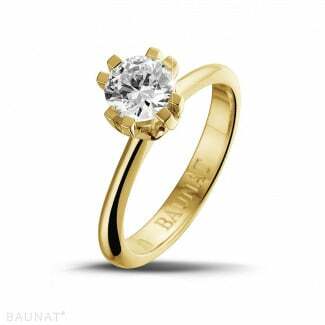 At BAUNAT, each jewel is designed and created with utmost care. Are you looking for that one special jewel that suits your personal taste and personality to a T? 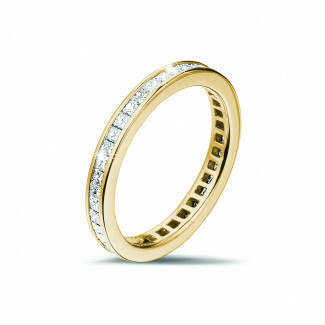 Take a look at our collection of high end jewellery. And if you cannot find what you had in mind, we can create a tailor made jewel especially for you. Within this approach, we guide you throughout the whole process, from sketch to finished jewel. 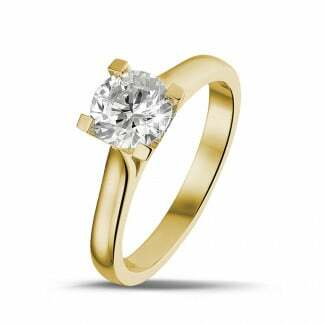 Why should I buy my diamond jewellery online? When you buy your diamond jewellery online, you spend up to 30 to 50% less than at your local jeweller. In addition, our online collection is more extensive than the collections available in our specialized showrooms. But what if the jewel does not fully meet your expectations? 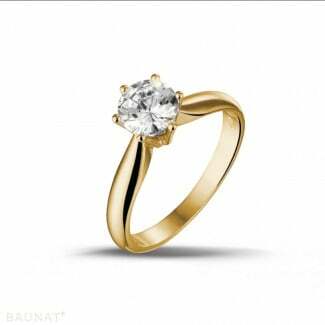 BAUNAT offers all its clients who purchase online 30 days in which to change their minds and return the jewel.